The final finished piece I completed for printing was for the show Voyager. It was one of the funnest of all the ships to work on. The ship is smaller that most of the others which allowed me to get more detail into the cuts... and at the time I was working on it our relationship with the Paramount folks was at its highest... and tons and tons of technical details flowed into this drawing. Like all of my previous posters the drawing was in pencil using the tools of an illustrator... no computer generated portions of the drawing. Once the initial drawing was generated it went to Paramount where the art department folks would go over the details with a fine tooth comb and they would leave notes on the drawing as you can see below. 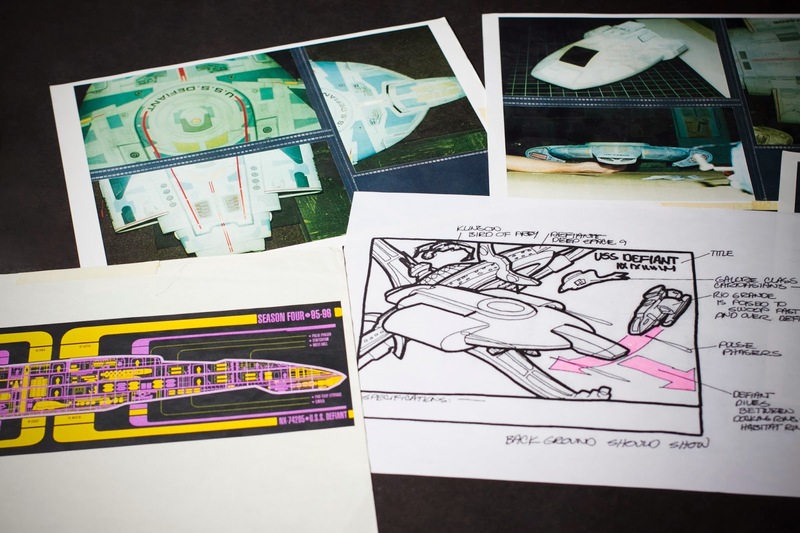 At the time I was working on this drawing 7 of 9 was just coming on the show and one of the areas that I had to rework was her alcove area in the cargo bay... You can see the blue rectangle in the upper hull here with the notes from the art department which was also sent with blue prints of the new set. One of the cool aspects of this poster is it included a cut away of the Delta Flyer! This was also fairly new to the show and as such I got to add to the technical canon of the show by showing areas you would never see on the show. The computers and warp core and nacelles as well as some of the rarely discussed Borg tech. Another part of doing this work was getting models to work from! I have one last image still up my sleeve but have decided that I want to complete the image from drawing to finished rendering.... The Defiant. Stay tuned for this one! 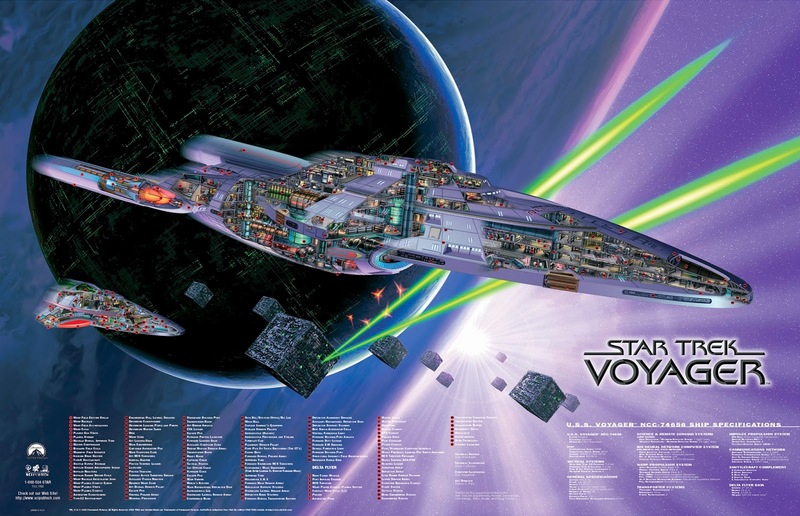 More than a Star Trek Fan Boy Christopher has gone from an avid watcher since 1966 to working on Star Trek projects from the forth season of Star Trek The Next Generation through to Voyager and the movie First Contact as an illustrator. 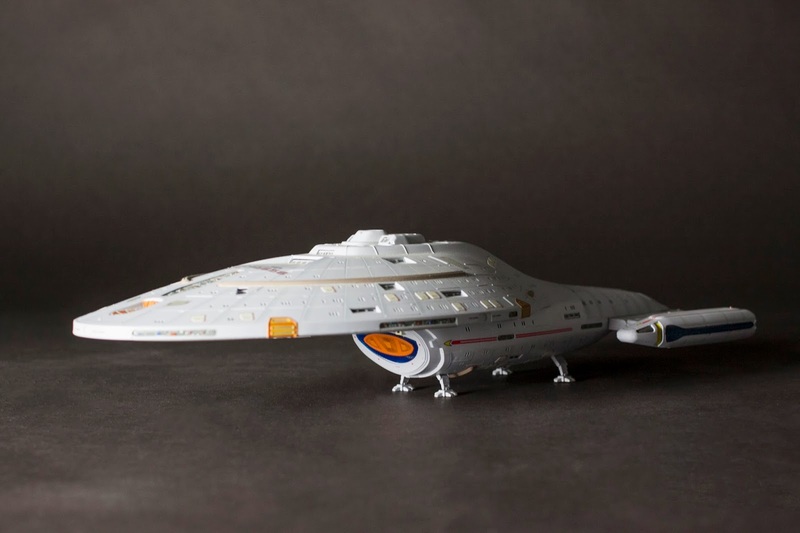 Christopher has been an ardent supporter of Trek Lore and Canon and hopes to share his experiences and opinion on the state of Trek and other sci-fi shows on this blog!